Two Egyptian mummies are among the amazing artifacts that are found at the Crossroads of Civilization exhibition at Milwaukee Public Museum. 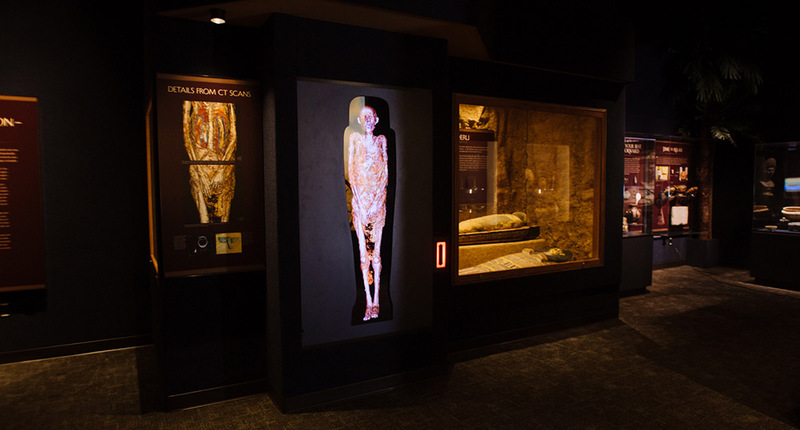 Visitors to the museum have the opportunity to peer inside one of these mummies with the use of the latest in medical imaging and a 4K display. Ideum helped stitch together nearly one hundred images to provide full-sized, ultra high-resolution (UHD) images which are 4096 x 2160 pixels, four times the resolution of the high definition (HD) display standard. Visitors to the exhibit watch as composite images of CT scans show the details of the Egyptian mummy and characteristics of an individual who lived more two thousand years ago. 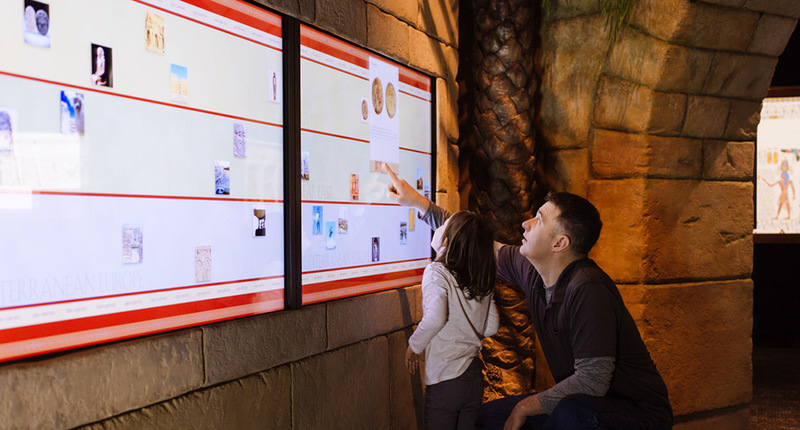 The presentation is decidedly simple, the animation itself lasts less than a minute and loops, but the high resolution of the imagery and the surrounding artifacts and signage provide visitors with a revealing look at the Egyptian mummification process. 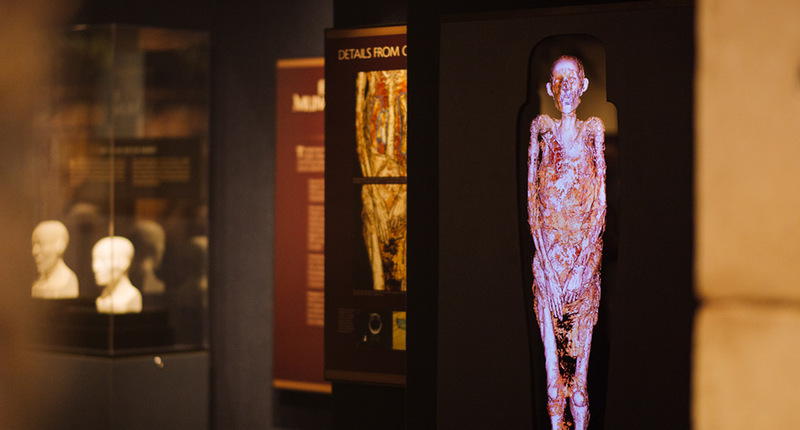 Ideum collaborated with the team at Milwaukee Public Museum and Akhmim Mummy Studies Consortium who provided the source CT scans to create this interactive experience. This exhibit is part of the Crossroads of Civilization exhibition at Milwaukee Public Museum. 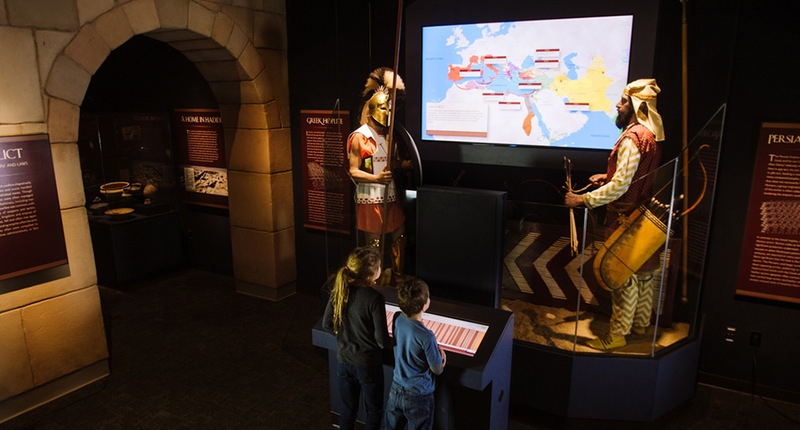 Ideum developed this exhibit along with three other interactive experiences (an interactive map of ancient empires, a timeline of the ancient world, and ultra high-resolution 3D model of the Medinet Habu Temple) in collaboration with Milwaukee Public Museum. The exhibit opened on the Ides of March 2015.